Don’t forget that this first round of the Regional Workshop Awards and Scholar-Activist Project Awards closes on 30 June 2012. Please just get in touch if you’ve any questions about these schemes. 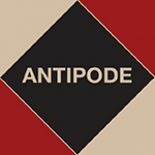 This entry was posted on 30 May 2012 by Antipode Editorial Office in Other and tagged Antipode Foundation, Regional Workshop Awards, Scholar-Activist Project Award.